Our luxury bathroom tap collections include a range of tall basin mixer taps for vessel sinks. The tall basin mixer is perfect for use with larger contemporary style basins. Utilises the latest and highest quality ceramic valve technology. 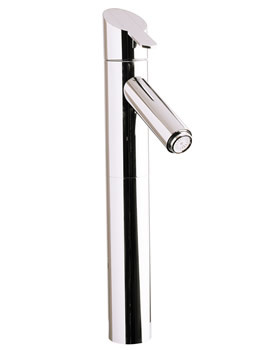 Browse our tall basin mixer taps for your Counter top basin / vessels. Great styles & designs from leading manufacturers, including Crosswater Taps, Cifial, Hansgrohe, Grohe, Heritage & Hudson Reed.